Growing up, I’ve always been a dog guy. Though I didn’t have many dogs growing up, I always felt drawn to them. These days they call it ADHD and I’m sure the doctor would’ve diagnosed me with it in a heartbeat if my father didn’t keep it beaten out of me with his rather large leather belt. Not that I was abused though, it was punishment in a proper way. For every whipping I got, I swear I deserved at least ten more. I’m thankful for how I was raised and thankful for a mother and father that disciplined me, but I digress (there’s that ADHD again.) I was also raised to be honest and tell the truth, which as a kid I didn’t always do. As I grew older, some would say I took the honesty thing a bit too far. I don’t mince words and will always shoot you straight. The worst thing you could ever ask me is what I really think, if you aren’t prepared to get the absolute truth. Dogs seemed to be the only thing that could keep my attention. Most who are familiar with me, know I started off in the dog world by raising and training bird dogs. This was after I bought a Chesapeake Bay Retriever and trained my first duck dog. When I was medically discharged from the Army, I took a job working for my hometown Police Department. After a short time with the department, I was asked to become the K9 Officer with the dog they had at the time. The next 13 years went by extremely fast and I’m now lucky enough to train dogs every day. I loved working the road with a dog and was very lucky to have a few good ones. I’ve always taken pride in being a K9 officer/handler/trainer and when I start training new teams, I strive to pass along my sense of pride. I believe that when you’re a K9 Officer and your department does it correctly, you must be a cut above the rest. You have to know how to write detailed reports, manage your time and take on responsibilities none of the other officers have. You should also be in better shape than most of the other officers. 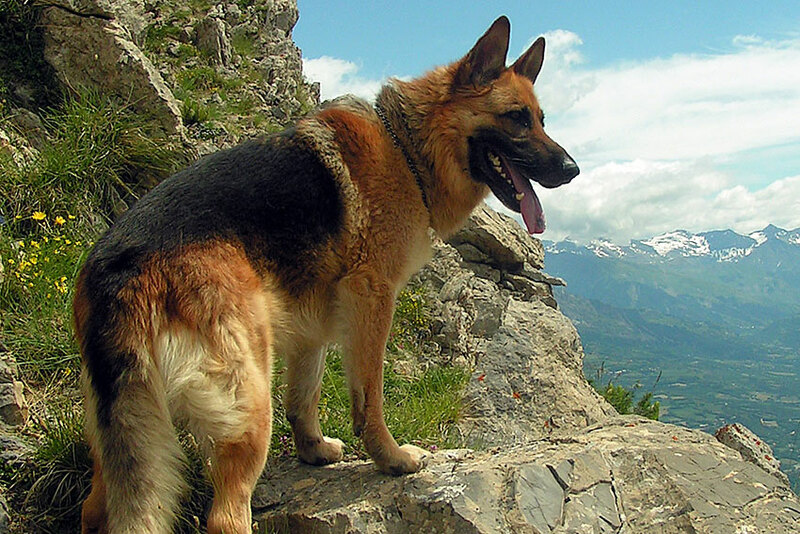 If working a patrol dog, you have to be able to track through hard terrain for long distances. I now put in the contracts I write for departments, that the handler in training must have a current physical and be in top shape. If they’re not, I have the right of refusal for the handler and the department must provide me with a new officer, better suited for the role of a K9 handler. The last two weeks of school we average between 6-8 miles per day in the woods and urban work. With these attributes usually comes the aggressive, “Type A” personalities. These are the officers that are self-motivated, driven to succeed and want to be the best. A downside, however, is the fear of failure often lurking within these types of officers. They never want to fail because they think they’ll look bad. I say this because I’m one of these guys. 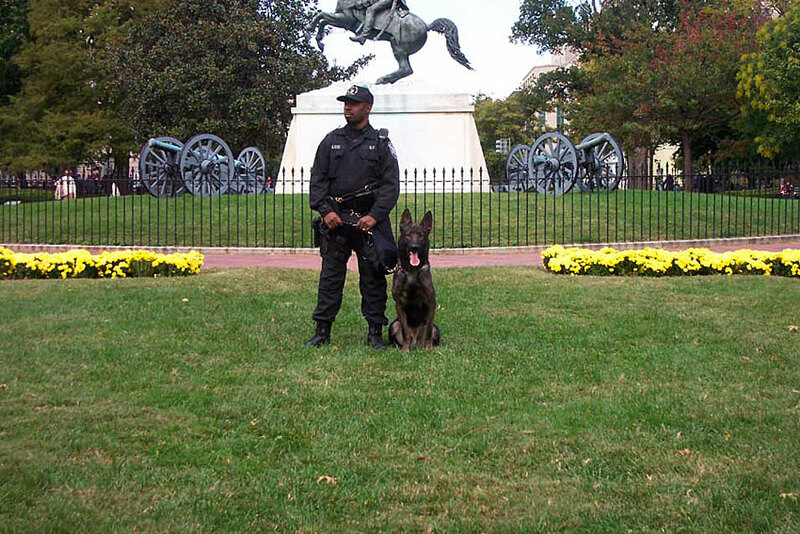 A K9 officer is a full-time, 24-hour-a-day job. I honestly believe when I worked for the county Sheriff’s Department, I averaged about three hours of sleep a night. I was working on my trainer’s hours, which required traveling all over the country to attend workshops and schools. I’d travel to the St. Louis area a few times per month training a group, as well as running a training group at my department of officers in our area. It always seemed we had someone coming to train with us on our non-training days, court, public demos, call-outs and more training. Just when you’d get home, get into bed, close your eyes and fall asleep, the phone would ring because someone needed me and my dog. However, all of this was fine with me and I loved every minute of it. It’s a tough job within a department where you work a lot on your own. You must keep up with your in-service training, training records and yearly certifications. No one else can or will do this for you. It still blows my mind that Missouri doesn’t have a state-level standard for the police service dogs here. Certifications were something I never let expire. I’d go to a national organization, as well as our state organization in order to carry two certifications every year. Not once was I ever questioned further than what organization I was certified with and if the certifications were current. You’d be amazed to know the number of uncertified teams working the street right now. I find fault first with the handlers, second with the K9 supervisor and last with the department head. Aside from training and certifications, I had another sense of loyalty to the integrity of my chosen profession. I strived to have no false alerts, whether in training or on the street. I also believed in challenging my dog, myself and my team. Before the terms single-blind and double-blind became so prevalent, I was using them in my narcotics detection, tracking, building search, area search and all other disciplines of work. 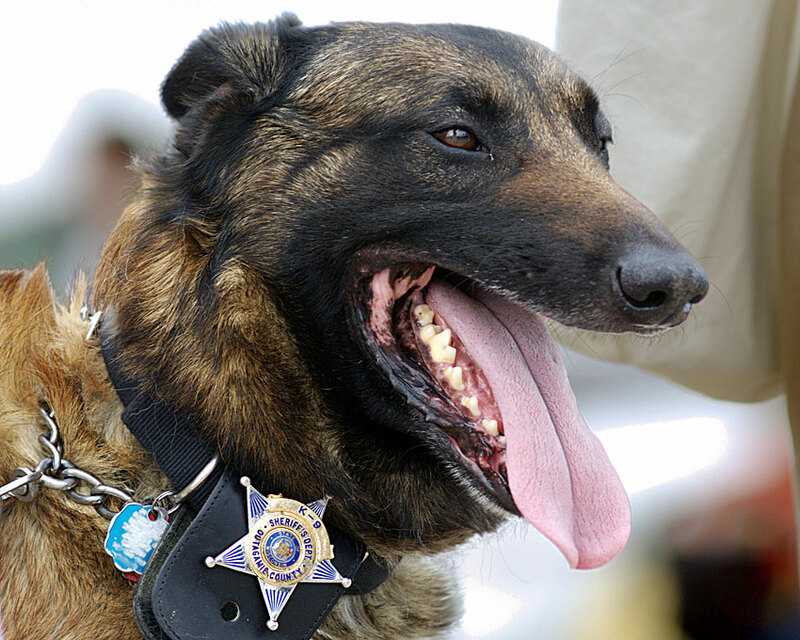 Many of the deputies I worked with hadn’t worked with a K9 Deputy like myself. One of the best memories I have was being called to a traffic stop to use my German Shepherd, K9 Idol, to check for the presence of the odor of narcotics/drugs. See, our dogs aren’t trained to alert to the presence of narcotics/drugs, they’re trained to alert to presence of the odor(s). When I arrived, I made contact with the deputy, who hadn’t used us on a traffic stop yet. I’ll never forget the look on this deputy’s face, almost in shock as he said, “Ok, ok, ok buddy.” K9 Idol alerted and we located a large amount of contraband. This deputy and I continued to work together and he later told me I was one of two K9 Officers he ever believed in during our work. He said if my dog didn’t alert, he had full faith there was nothing there. 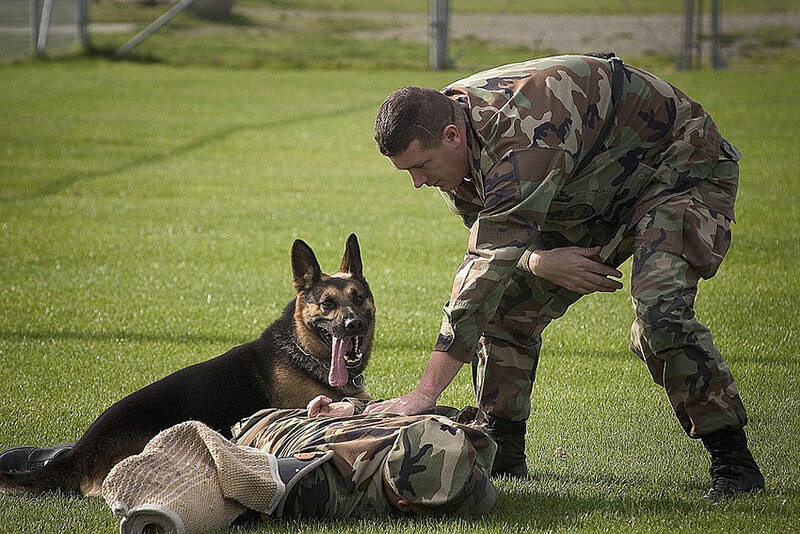 On the opposite end of the spectrum are the K9 officers who exaggerate the capabilities of themselves and their dog(s). The most common exaggeration of a team’s capabilities is in the area of tracking or trailing (TT). 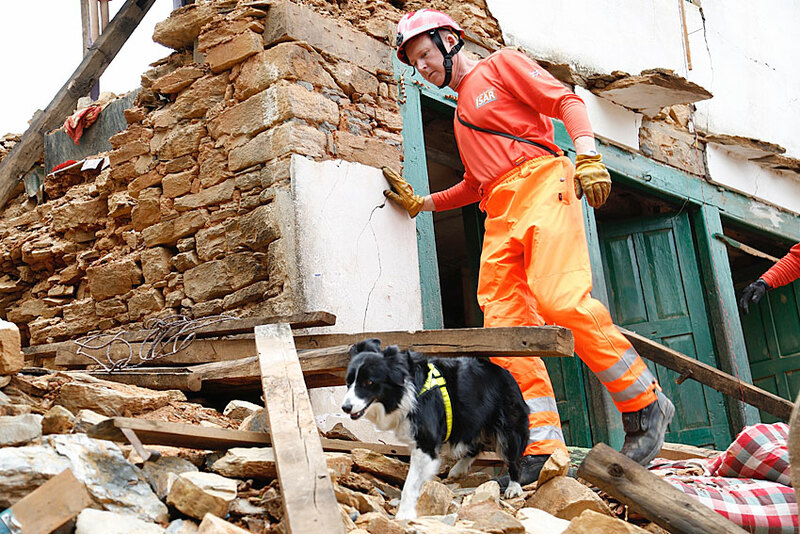 I’ve actually had a conversation with a handler who told me they’d successfully run a seven-month old trail with their SAR dog. Let me say that again, seven months old! Seven months and he was as serious as a heart attack. His, “wonder dog,” had run a two-mile trail and located the remains of a missing person. I asked a few targeted questions about whether it was possible that he and his dog just happened upon the remains, but he was dead set to tell me how amazing his dog was. Over and over again he said he ran the seven-month old trail, from possible point of last seen to the remains. With as kind words as I could use, I told him I thought he was a liar. I’d be willing to bet this team couldn’t run a 48-hour old double-blind trail with an unknown trail layer in an unknown area to him and his dog. I’ve also discussed this exaggeration with numerous handlers/trainers touting their abilities to run aged tracks/trails. Anyone who knows me or has trained with me, knows I’m extremely conservative when it comes to my beliefs of aged tracks/trails. While I’m trying to stay on topic here about being truthful in our training, I have to expand on this topic before moving on. I’m asked all the time how old of a trail a dog can run and my answer is always the same, “I have no idea.” One of the biggest flaws we have as tracking/trailing handlers and trainers is the way we measure our tracks/trails. When training, what’s usually the first thing asked? “How long was the track and how old was the trail?” Rarely is the following asked, “What was the humidity? What time of day was the track/trail put down? What percentage of the track was in direct sunlight vs. shade? What was the temperature?” I can keep going, but I think you get the idea. When I’ve asked these teams bragging about the age of trails they can run, to run a simple 24-hour old double-blind trial, none of them will do it. This has always confused me. If they can run 72-hour old trails, which some of them have to do to certify with their Search and Rescue teams, why won’t they do a 24-hour old trail? It’s simple, they can’t! There’s so much more to the track/trail than age and distance; very few handlers understand this, let alone train for this. I can tell you that my comfort zone with K9 Doc is between six to eight hours. I’d call my, “without a doubt zone,” four hours and under. I’m so confident in our ability in this timeframe that it’s almost a detriment. Is it possible for us to be accurate past those times? Yes, so why do I say that’s our window? Because this is the time we’ve trained on. When you have as many dogs and handlers to train as I do, sometimes my personal training gets pushed to the rear. We still train, but at the listed times; I don’t try to push out further with the age of the trail. As I’m close to the majority of my call outs, this works for Doc and I. It would be great if all I had to run was K9 Doc, but I don’t. Now, why am I so confident? It’s because of the way that we train. We train in a double-blind method where I almost never know where the trail layer has gone. Only a known starting point, which is a scent article or vehicle and I let Doc do his thing. Usually, we hammer the trail layer and that’s one reason I have so much confidence. I train the exact way I’ll have to perform on a callout. This is also the way we train our pups we import, they’re almost always run with double-blind trails with our handlers who come here for training. More on this in a future article. I’ve been asked to respond and work 24-hour old trails. I’ve only been to one, where a child went missing locally and the search area was so worked over it wasn’t possible. Not only was it 24-hours old, but it was summer here in Missouri and the last point seen was in direct sunlight. I was honest, direct and upfront with the family. I told them I didn’t believe there was any possibility for us to do any good because I didn’t believe there was any odor left for us to work. They asked me to come anyway and we tried, with no luck. If we’d have hit anything and made the find, it would’ve been nothing but luck. These tracks and trails become what I call, “hope and a prayer tracks.” Usually the family is so desperate, they’ll listen to anything and anyone that say they can help. This is where I believe our biggest problem is occurring in tracking/trailing teams today all around the world. 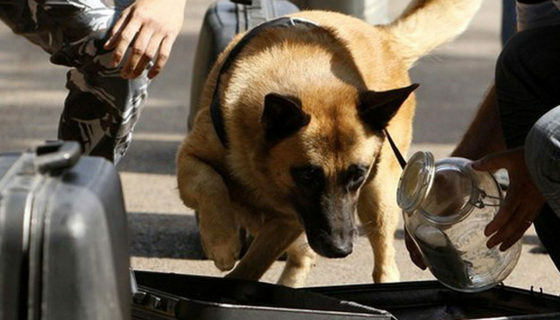 “Despite the technological advances of our current age, many experts agree that these canines are a greater asset to a police force than some of the best high-tech surveillance equipment. Their extraordinary ability to discern a cold trail has sent them on fruitful missions, following tracks over 300 hours old.” 300 hours, that is 12.5 days old! This is completely untrue and whoever told this to the reporter is either a liar or completely delusional in their Bloodhound’s abilities. Both are the same to me, dangerous! Now, do I think that it is possible for a properly trained dog and handler to be able to follow a 12.5 day old trail? Anything is possible, right? I could have hit the 1.5 billion dollar Powerball too, but I didn’t. To be able to work this trail of 12.5 days old, it would have to be in absolute perfect scent-preserving conditions for the entire time. Is it possible? I guess. 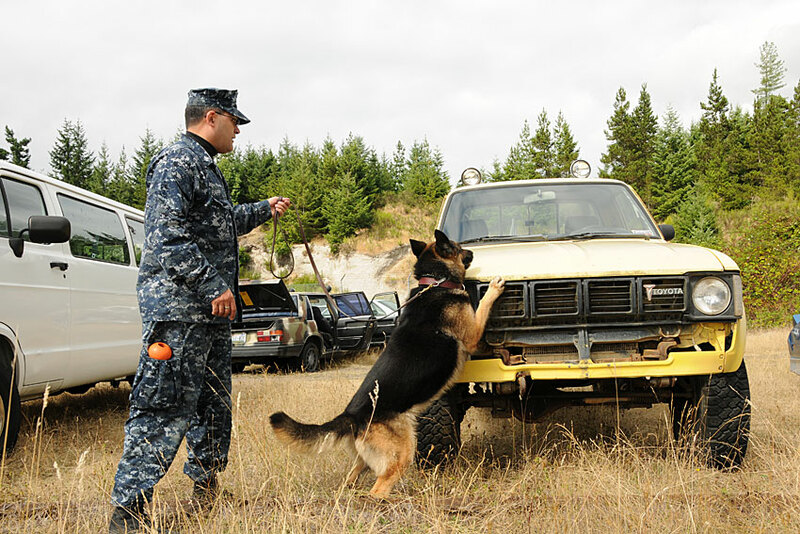 Can any K9 tracking/trailing team do it with reliability? Absolutely not and anyone who says they can is a liar. They’re lying to themselves and others, which does the K9 community absolutely no good. Worst of all, it gives the victim’s family false hope, which I think is one of the most terrible things you can do. The key word I used in the previous paragraph was reliability. This is the factor I believe to be the most important when determining if a K9 tracking/trailing team is ready to be used on a deployment. Is a team dependable? What determines that? The team’s certification and their training records. Let’s talk about certifications first; this is going to make a few people unhappy. I don’t believe in a vendor taking money from a department for a dog and training handler, then certifying the K9 Team at the end of the handler’s course. I fully believe in having a third disinterested party certification. At the end of BCPK9’s handler courses, a Master Trainer from the North American Work Dog Association (NAPWDA) is used to test our teams. They either pass or fail, it’s that simple. A NAPWDA Master Trainer cannot be paid for the certification; I feel this is the best way to keep everyone honest. Training records are where we’re going to get to the start of the problems with truth in K9 work. Training records are the most important documents a handler should be required to keep. Now, why do I say “should?” I say this because so many departments have K9 supervisors who’ve never handled a dog and are next to clueless about K9 work. I believe all K9 supervisors should be required to attend a course on K9 supervision. Many times, especially in the smaller departments, handlers are left alone and given very little supervision. Usually when they realize this is a huge mistake it’s too late and the department’s city or county is writing a large check, but I digress. Getting back to training records, if a handler shows me their quarterly training records and I see nothing but 100% success in each area they work in, they’re one of three things. A liar, very lazy handler, or a handler with a very lazy trainer. If you’re 100% in your training, you should be at least 80%-90% successful in your street deployments. The last multiple dog K9 unit I visited, the unit trainer told me that their previous find average was 8% in tracking. Think about that, only 8 out of 100 tracks would have a find. Now, do I think with today’s technology, more suspects are picked up? Yes I do. Do I think that 92 out of 100 are picked up? Not at all. I’d be willing to say that as a nation, the Law Enforcement K9 tracking/trailing average isn’t much better. I’d also be willing to bet these K9 unit training records, in the area of tracking, have a much higher average of success during training. So if our training records reflect a higher percentage of success in training, why is there such a low success rate on the street where it counts? It’s not just because we’re lying to ourselves and others, but because the way teams are currently training. In my training trails, do I fail? Yes! If someone comes to our Handler Performance Class or a seminar, the very first video the class watches is of me blowing a one mile, 1 hour old double-blind trail. I want everyone to know I’m not perfect. I’m not a 100% guy and will never claim to be. All of us will make a mistake here and there, but we need to train to identify and eliminate weak areas that cause mistakes. We also record the majority of our training, trailing, narcotic detection, building searches and everything we can with video, we don’t yet have night vision recording capabilities. 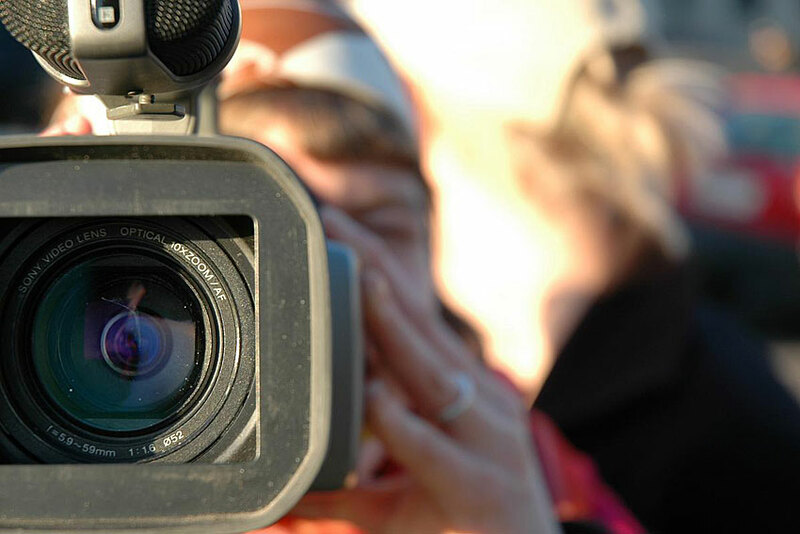 Video is one of the most valuable tools you can add to your training. I probably watch each trail I run 15-20 times. I stop, rewind and look for things I missed in the dog I was running. I learn so much more by watching these videos than I would if I hadn’t recorded them. I take notes, lots and lots of notes, from the videos. Using the time counter, I record what happened at that exact point in time. I guess this can be traced back to my college football days and all the beatings I took from my head coach at BC during film review. If you’re not recording your trails, you need to start. If something starts going south on a training, don’t you dare turn that video off! Keep it rolling, recover from it and get back on task. This is where real learning will take place and is one area that forces you to check your ego. There’s no arguing with video, even though some try. Start recording and reviewing! 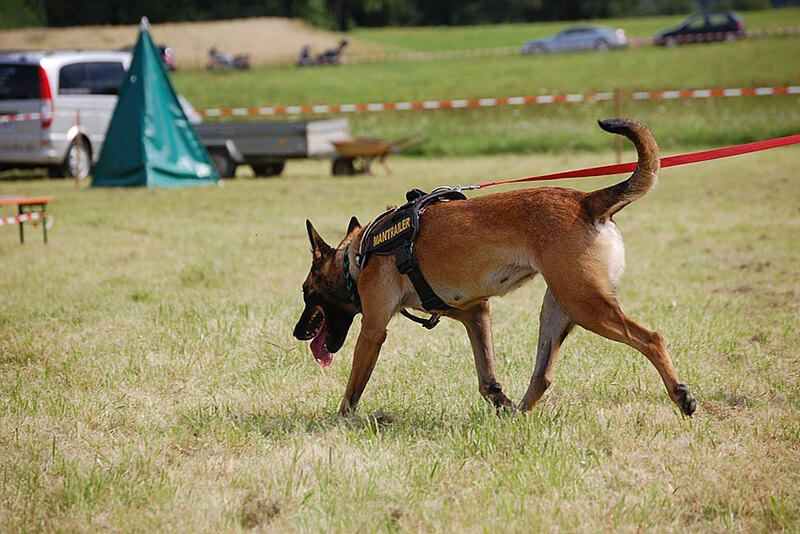 For years the police K9 community’s tracking has been based on old, outdated sport training methods. Even I’m guilty of this in the past. I followed the advice of trainers who showed me how to go out, usually to a park or golf course and lay my own track for my dog. I’d put a ball at the end, usually walk back over the top of the track I just laid for myself, then grab my dog and guide him down a known track. All in a park, mostly double laid, with a ball at the end for the dog’s reward. Here’s the problem, in 13 years I’ve never had to track myself with my dog when working. I’ve rarely had to track in anything but dense cover, woods, or brush. In all other areas of police training we preach, “train the way you fight.” You’ve all heard this, right? Then why in the heck are we still training police K9’s in this way? It’s because we’re lazy and because of the old adage (which I absolutely hate with every bone in my body,) “that’s the way it’s always been done.” The old footstep-to-footstep sport method doesn’t work. Now I know there are several teams out there trained in the old sport method who have multiple finds, but I credit most of them to good containment, quick arrival timing on scent and more area searching than tracking/trailing. There has to be a shift to training our tracking/trailing teams in blind and double-blind methods. I see teams who are clueless on how to work unknown tracks/trails all the time in seminars and classes I teach. It still blows my mind that these teams usually have no idea what it looks like for their dogs to start a track. They always know the track/trail and off they go. I was helping teach a tactical tracking seminar in North Carolina a few years ago and we had three police K9 teams there. One was a patrol team with a German Shepherd and the other two had Bloodhounds. On their assessment trails, not one of them could run a 1⁄4 mile, freshly laid, single-blind trail. The GSD would take off in the wrong direction, one Bloodhound would kind of start, but then just urinate on a tree, go another 5 yards, urinate again and then go a bit further. 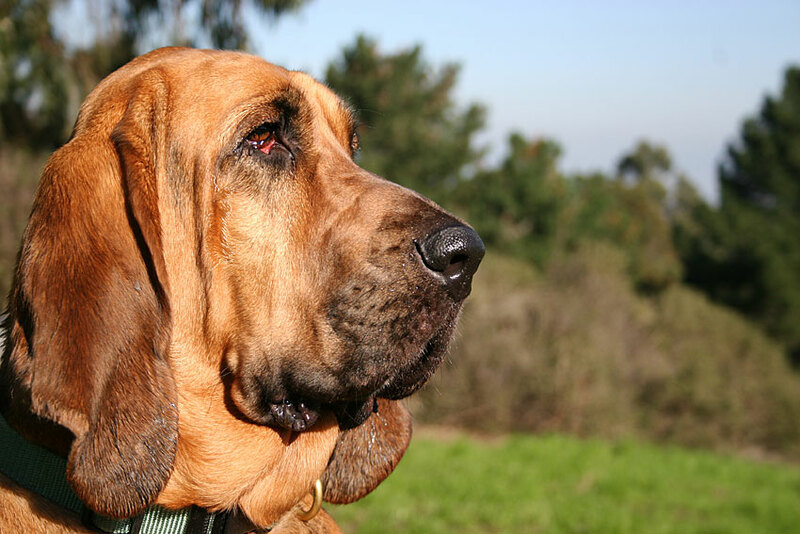 The last bloodhound was a little better, but not much. 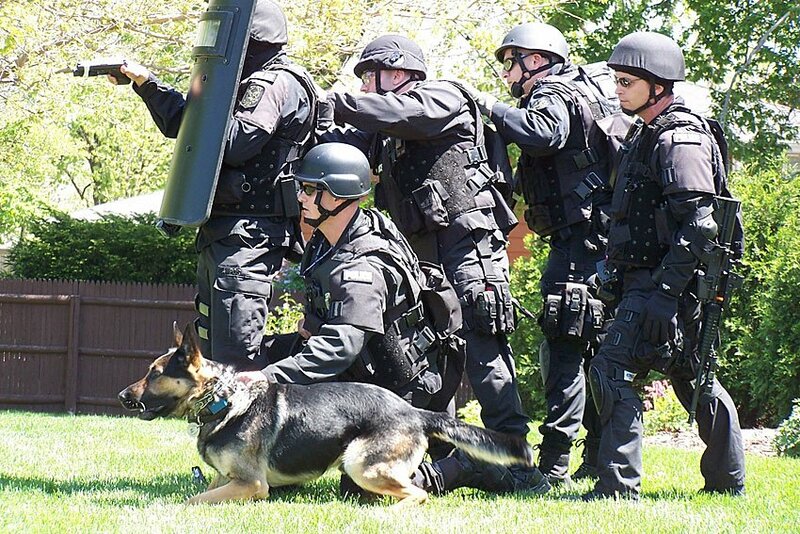 We couldn’t use any of them for the class, where we were teaching a tactical team to move with the K9 team properly. Every one of these dogs was being used on the street, to track/trail suspects and find lost persons in the mountains of North Carolina. Not one of the three would ever see a long lead or harness if I was their supervisor or trainer, other than in training. I’d be willing to bet, if we looked at their training records though, that they had a very high percentage of successful tracks/trails in training. Many K9 tracks are almost always known or marked and they track the same people over and over again in the same training locations. I’m not saying we never run marked trails, they can be a useful training and learning tool. What I’m saying is we can’t do marked or known trails for the majority of our trainings. They become a crutch; most will begin to guide the dog and fail to read the dog’s natural tracking/trailing behaviors. We have to start changing our ways. I’m not just talking about Law Enforcement, everything I’ve stated needs to be applied in the Search and Rescue (SAR) communities as well. From a tragic incident in Tennessee that I was a part of, which happened to be the largest search I’ve ever seen, I was able to take away many lessons. It’s also the reason I’m writing this, I feel it needs to get out. 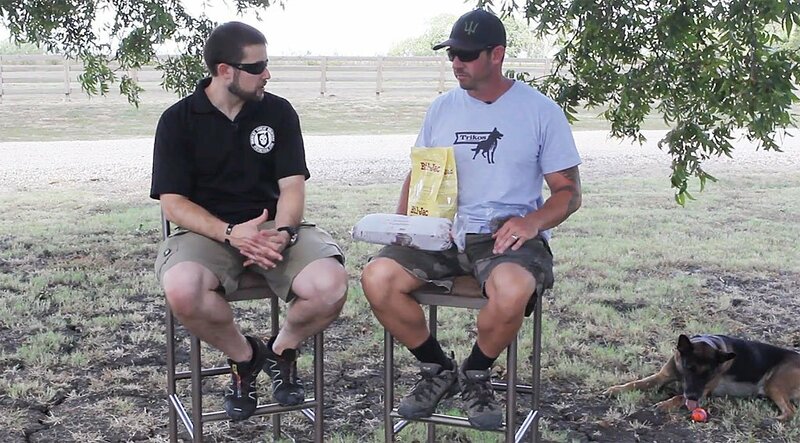 There’s so much junk coming from the, “K9 Keyboard Trainers,” it’s truly mind-boggling. I won’t go too deep into the Tennessee search below, because the details of the investigation haven’t been released (at the time of the writing of this article,) due to the large nature of it. There were literally thousands of people involved. During the Tennessee search, I saw several different types of dog teams. Teams that appeared to be professional and teams that, well let’s just say much less than professional. While working an assigned search area, we’d meet dog teams that weren’t supposed to be in our assigned search area and even teams that didn’t have the proper equipment (GPS, first aid, water.) It was just them and their dog. Now, I have no idea of their qualifications and whether or not they were certified, I could only gauge by their appearance. Not once did I see the other teams working their dogs off lead, sending/casting their dogs to work productive areas, or doing the job they appeared to be there to do. This isn’t fair to the family and again gives false hope when they hear the number of K9 teams in the woods working to find the victim. I’m also aware these are volunteers and their heart was in the right place. However, there has to be a system, training and certifications for it to work. At an incident, you’re representing the entire working K9 community when you show up to a scene to “work” your dog. There must be a level of professionalism, no matter if you’re Police K9, SAR or anything else. First and foremost we’re there to do all we can to locate the victim. If the untrained are out there and become victims themselves, it takes resources away from the original mission. Now I’m going to talk about what’s bothered me the most since returning. I’m well aware there’s so much misinformation during a large incident, but because of being there, directly involved I’m able to say the following, knowing that it’s the truth. Local Law Enforcement did everything right. For such small Sheriff’s Departments, (there were two involved because the search area was on the border of two counties) they responded and took appropriate actions. They had not one, but two helicopters on scene very quickly. The woods where the child went missing were fairly clear of underbrush, almost manicured in most areas. It was one of the best looking areas for a trailing team to work. A Law Enforcement trailing team was deployed and on scene quickly (I won’t say from where). From my understanding, this was the very first team to attempt to trail the victim, which at this time would’ve still been alive. 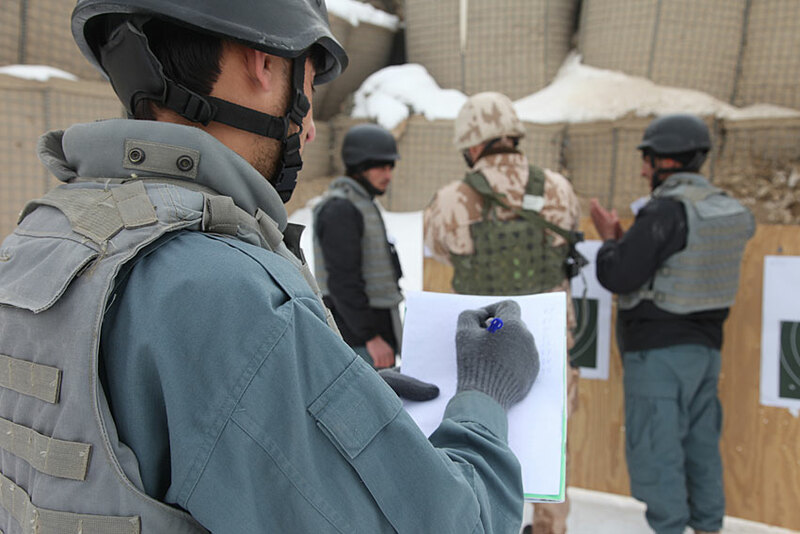 The team was provided a fresh scent article and started at the point last seen. I won’t go into further detail other than to say they weren’t successful. I don’t know who this team was trained by, whom they are certified with or if they were even certified. I would hope they were. I’ve read many comments on what a good team they were and their level of competency. Due to the child being young and small, his body put out less odor and the excuses go on and on. This is literally the worst case scenario, life or death. A missing two-year-old child, lightly dressed in wintertime. As the evening sun sets, temperature is dropping and it’s just you and your dog. This is the reason we train the way we do and the reason I’m so set on double-blind trails, as well as varying your track/trail layers. Because of this exact situation, if I’m called, I have to be sure I can go and perform. If there’s any doubt in my head that I can’t, I’m getting on the horn and calling for the best team I can find. I can’t imagine the feeling of the K9 handler who got this call. As I said, I don’t know any of the team’s details. I truly hope they’re doing ok, but I know the K9 supervisor needs to be brought in for review and the head official of the department needs to do some research at how this unit is being trained. They need to be fully truthful with themselves. 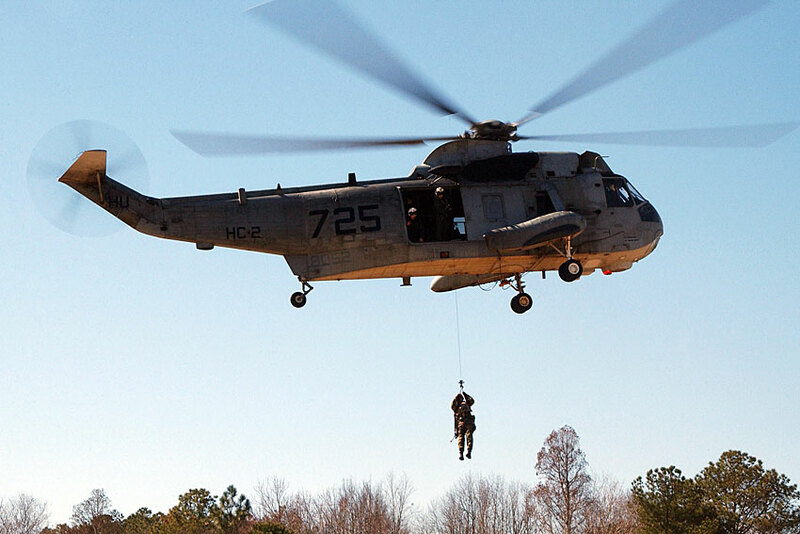 Was the team, who had the highest likelihood of success being the first, properly trained, certified, fully prepared and qualified to take that call? I’ve trained with a few SAR groups and the ones I’ve seen don’t approach the training with the same mindset that I do (as well as most Police). Don’t get me wrong, I love to have fun; you have to in training, but there must be a change in the way we train. I observed an SAR group train and run multiple tracking/trailing teams on top of the same training track, one dog after another. How can someone who has any concept of how scent works and how dogs work, defend this as proper training? You can’t; not to someone who’s knowledgeable about scent. If your group is training this way, please call me, message me or have your trainer call. You have to stop! If you’re running all known trails, stop! 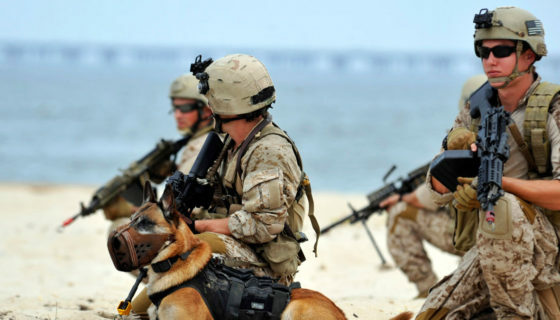 You must challenge your team, yourself and your dog. If you’re 100% in your training, you’re lying or lazy. Train hard to be successful in the callouts. It literally keeps me up at night sometimes. I hope I never get the call or text that something has happened to one of our teams, but it’s a reality I must be ready for. All I can do is give the dogs and teams everything I can in their training. I must be completely truthful, make sure they know their limitations as a team and teach them to be honest in what they can and can’t do. I can never give them any false beliefs in themselves, their dog or their team. I strive to set them up to constantly improve through their training set-up. In closing, I don’t think handlers realize the scope of what’s at risk most of the time. There’s a chance you and your dog will be called upon and there are two outcomes for the victim that lie directly on you and your dog’s shoulders. It’s not a game, it’s not a social club; it’s a dark reality when you’re faced with what one of the two outcomes are. The two outcomes are life or death, complete success or total failure. Are you prepared? Have you been truthful in your training? When the call is real life, the truth of your abilities will be revealed to everyone. If you take that call, it will be the ultimate test in you and your team’s honesty. I hope you’re ready. Editor-in-Chief’s Note: Mark Wynn is an instructor with Boulder Creek Performance K9 and has worked and trained in all areas of Police Service Dog, Military/Contract Working Dog, Search & Rescue and Sport Mark served as a Kennel Master and Trainer in both Iraq and Afghanistan and Jordan (At the King Abdullah Special Operations Training Center) supporting the United States Department of State and Department of Defense fighting the war on terror. 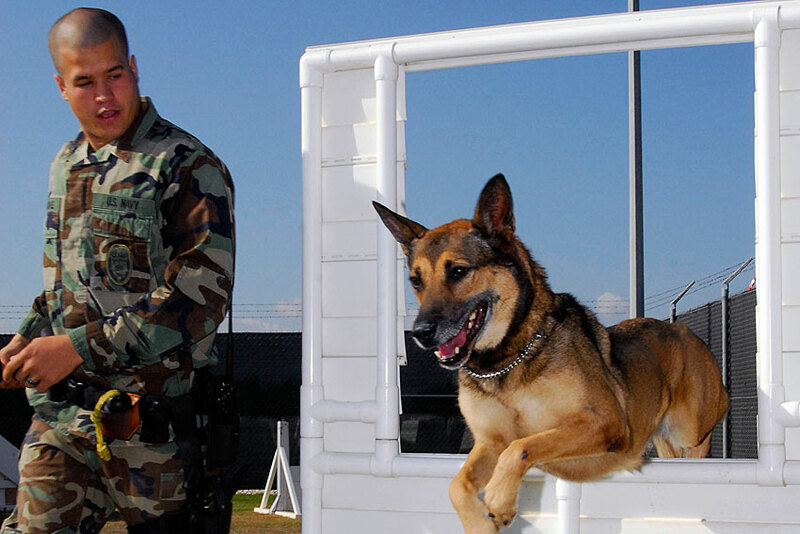 While in Iraq, Mark was the Senior Kennel Master for the world’s largest K9 Contract managing 103 Explosive Dogs at the Baghdad Embassy.